I am a photographer located in the Washington DC metro area and have been cultivating my passion for photography for 10+ years. I enjoy capturing images of landscapes, nature, and architecture. Although, when I come across a subject that would make an interesting composition, I have to take it. I tend to capture images that are full of color, depth of field and have (for me) a calming feel to them. The majority of images I capture are obvious to any passerby. People are so focused on their daily routine that they hardly see the beauty that surrounds them. My goal is to create visually stunning photographs, that capture the viewer's eye while at the same time allows the viewer to relax and be at peace. I urge the viewer to get creative and use their imagination to come up with their own story when viewing my images. 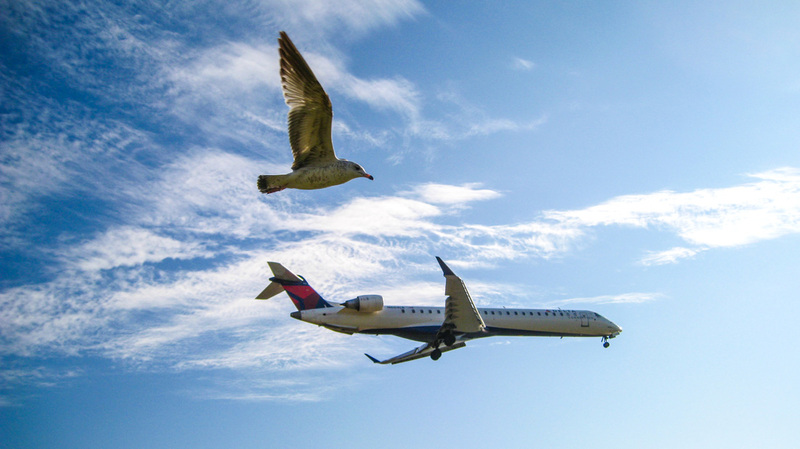 "This image was while feeding the seagulls and watching the planes land with my father."